Runny nose often occurs due to cold, the flu, allergies, and sinus infections. For runny nose, there is excess mucus secretion from the nose which could take a toll on your body’s fluid levels. Avoid caffeinated drinks, such as coffee and soda, as they tend to dehydrate your body that is already losing a lot of fluid. Drink plenty of water to replenish lost fluids, flush out toxins and hasten the recovery process. You could consume spicy foods, such as chili pepper and ginger, to help flush out the excess mucus and toxins from the body. You should rest and relax a lot. Also, have restful sleep to hasten your recovery process. Avoid nasal irritants and common allergens such as pollens, latex and pets. Avoid foods that have histamines such as yogurt, cheese, and dried meat. Take lots of fruits and vegetables as they are rich in vitamins C and E.
Avoid wheat-based foods, and dairy products as they aid the production of mucus. Steam inhalation involves introducing warm moist air into the lungs to provide relief from congestion. This remedy helps to lubricate the respiratory passages. To use this treatment, put some boiling water in a basin and keep your head over it. Cover yourself with a towel and then take deep breaths for twenty minutes. You may also want to add decongestant essential oils like peppermint oil, eucalyptus oil, thyme oil, or rosemary oil. Steam inhalation hastens your recovery from runny nose. If you are struggling with a runny nose, sage will provide some temporary relief. Just like other culinary herbs, sage works as a stimulating expectorant. Furthermore, sage contains phenol acid that helps to combat bacterial infections. To make sage tea, take dried or raw sage leaves and place in a cup of hot water for 8 minutes. Leave to steep for a while, then, strain. Take the tea once a day until you get some relief. Turmeric is a spicy yellow powder with powerful antioxidant, antibacterial, and anti-inflammatory properties. This makes turmeric ideal for many respiratory issues like congestion and runny nose. The good thing about the turmeric powder is that it works as an antidote by giving immediate relief. To treat a runny nose, add one teaspoon of turmeric in a cup of milk. For even greater relief, add a pinch of cayenne pepper to your milk and mix well. Use this treatment, twice a day, for one week. This is one of the best natural cures for a running nose. It helps to expel the mucus from the body. In addition to that, saltwater keeps the nasal passage free of irritants. To use this treatment, mix one tablespoon of salt in a cup of warm water. Once it dissolves, use a dropper and pour a few drops into your nostrils. After that, blow the nose to remove the excess mucus. Use this treatment two times a day until your condition improves. Honey is very effective in boosting a weakened immune system that could make you susceptible to a runny nose. Honey is also rich in antioxidants and energy-giving nutrients that improve recovery from runny nose. Best of all, it has no side effects. Mix one tablespoon of honey and fresh lemon juice in warm water. 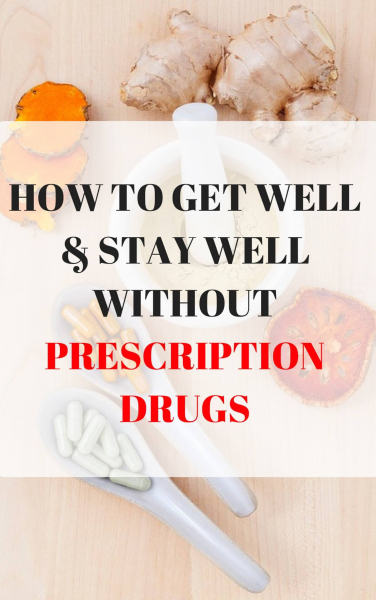 Take this solution two times a day until the symptoms disappear. The antiviral, antihistamine and antibiotic properties of mustard oil help to eliminate symptoms associated with a runny nose. Simply heat a few drops of mustard oil and then use a dropper to apply into each nostril. Use this treatment in the morning and evening for five days. Alternatively, you can put a few drops of mustard oil in a pot of boiling water and inhale until the nasal passage clears. Garlic contains allicin compound that helps to inhibit the virus that causes a runny nose. For fast relief, you should boil a few garlic cloves in water and drink the resultant tea while warm. Alternatively, chew two garlic cloves every four hours. 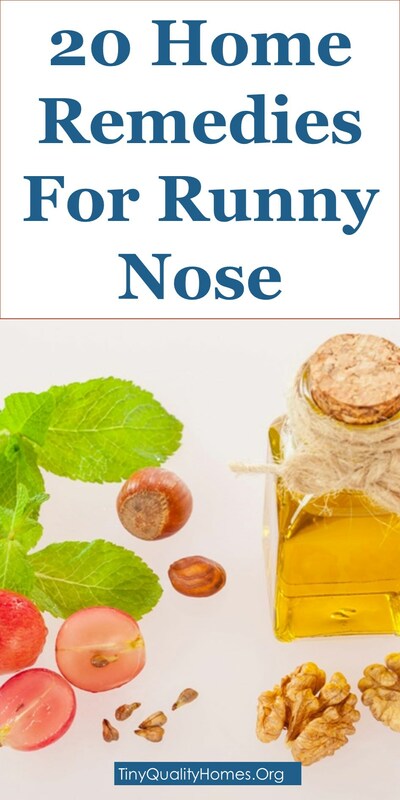 Use this home remedy until you get rid of a runny nose. Chicken soup is rich in amino acids that provide fast relief from numerous respiratory discomforts. When it’s warm, it helps to loosen the mucus and soothes the respiratory tract. Besides that, chicken soup keeps your body warm. To reduce the symptoms of a runny nose, take warm chicken soup three times a day. When you have a runny nose, you lose a lot of water in the form of mucus. By drinking water at regular intervals, you compensate for lost water. Apart from that, drinking a lot of water helps to reduce the thickness of the mucus, helps to flush out toxins from the body and also helps to hasten the recovery process . It’s recommended that you drink warm water every hour to keep your body hydrated. Basil is used as an antibacterial and anti-allergic herb. It has strong healing properties that will treat your runny nose. Also, the herb has a good warming effect. You should chew raw basil leaves in the morning and before going to bed. Alternatively, you can boil a handful of leaves in a cup of water and let it steep for thirty minutes. For better taste, add some honey. Continue with this treatment until you get rid of the runny nose. It works as an antihistamine by clearing up the nasal congestion and increasing nasal discharge. This way, your body can flush out the toxin that causes a runny nose. Having said all that, it’s crucial that you include pepper when preparing your meals. When you use this remedy for a few days, it would help alleviate the runny nose. Eucalyptus works as a decongestant by providing instant relief from a runny nose. To begin with, you should heat some water and pour a few drops of eucalyptus oil. Cover your head and inhale the scented steam. On the other hand, you can pour a few drops of eucalyptus on a handkerchief and inhale several times. For fast relief, use this remedy throughout the day. Thyme helps the body to eliminate accumulated mucus. To use this treatment, crush dried thyme into a fine powder and inhale gently for a few minutes. You can also heat some thyme oil and place a few drops into your nostril using a dropper. Repeat the procedure on the other nostril. When you use this treatment, your runny nose would be alleviated. Horseradish belongs to the same family with mustard. Horseradish promotes expulsion of mucus. Just chew the herb and hold it in your mouth until the flavor dissipates. Alternatively, you can mix one tablespoon of olive oil with a small quantity of horseradish in boiling water and let it steep for ten minutes. Sip the resultant tea three times a day until you get some relief from the runny nose. Acupressure could also help alleviate runny nose symptoms. Press the area next to the corner of your nose with the index finger. When applying pressure, ensure the nostrils are closed. Alternate between the nostrils and repeat the process for about ten minutes and then release. Continue with this remedy until you get some relief. Onion tea is effective when clearing clogged nasal passage. Just put some sliced onions in boiling water and let them steep for fifteen minutes. Drink this tea while hot to ensure you inhale the steam as well. To ease runny nose symptoms, use this treatment up to three times a day. Astragalus is a traditional Chinese herb for cold and flu. It has antioxidant, antibacterial and anti-inflammatory properties which makes it a good remedy for running nose. For fast relief, boil astragalus root in a pot of hot water and then add pepper to make some soup. Take one cup of soup three times a day until the symptoms subside. Stinging nettle is effective in combating symptoms associated with runny nose. It works by reducing the amount of histamine in our bodies. To get rid of a runny nose, add a handful of nettle leaves in a boiling pot and let it steep for 30 minutes. Take one cup of nettle tea two times a day. Ginger has antiviral, antifungal, and anti-inflammatory properties that treat a number of respiratory issues. Ginger gives some relief to a runny nose by loosening the phlegm and thinning the mucus. You can either cut ginger and chew it when raw or make some ginger tea. Cut a few slices of ginger, place in a cup of boiling water and let the ginger steep for fifteen minutes. If you are not comfortable with the pungent taste, you can add some honey. Continue with this treatment until the symptoms subside. Oregano oil is a potent essential oil as it has antifungal, antiviral, anti-inflammatory and antimicrobial properties. These properties make oregano oil effective for relieving runny nose caused by allergies and sinusitis. For this remedy, simply add 3 or 4 drops of oregano oil to any juice and drink it. You could repeat this several times a day until the runny nose symptom subsides.